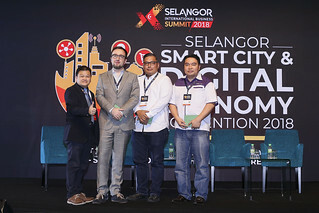 On the 23rd of January, the Selangor Information Technology and E-Commerce Council (SITEC) was proud to co-organise a Startup Showcase with Korean startup accelerator Social Rocket, at the Selangor Digital Creative Centre (SDCC). 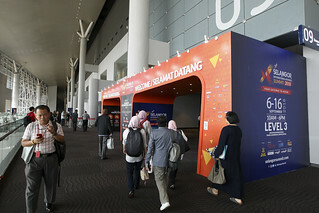 The seven invited Korean teams are startups established by Dongguk University students under the ‘Glocalizing Idea Challenge’ to showcase their products and services to the Malaysian public and startup community, with hopes of expanding to Malaysia. 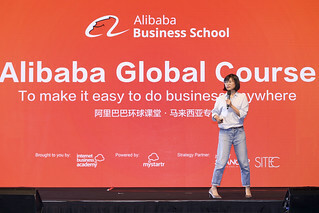 With over 50 attendees, the showcase featured startups Blanc Coffee, Jaeminan, WHY, 14days, Petson, MUA, and Robotschool. Blanc Coffee aims to connect travellers with cafes through their cafe review site, with hopes to evolve into a platform which consumers can pay for their coffee through. The product by ‘Jaeminan’ is an innovative mirror sticker that helps drivers accurately estimate distances for switching lanes, whereas ‘WHY’ hopes to develop a Mathematics workbook app for students. They intend to work with Malaysian academics to bring the app to Malaysia. ‘14days’ places itself as a fashion rental service for women on vacation, claiming itself as the first of its kind in Korea. For pet owners, ‘Petson’, inspired by poor e-Commerce practices among pet supply stores in Korea, has an app that helps owners care for and purchase pet-related items. ‘MUA’ offers art supplies for a form of meditative drawing coined “Mindratch”, and hopes to entice Malaysians as well. ‘Robotschool’ demonstrated their cup decorating robot, which allows for aesthetic and unique art or logo placements on blank disposable coffee cups, allowing for cafes to promote their brands, while looking pretty.